Read the first blog post for a more detailed description of the game. TGGW is an easy-to-learn introduction to this wonderful genre that comes with a complete tutorial that teaches you all necessary game mechanics. 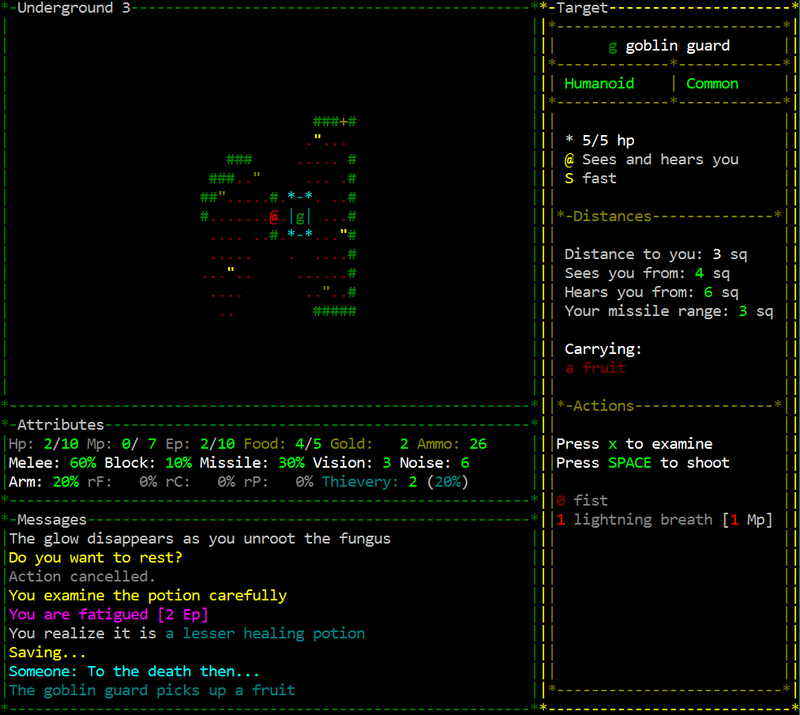 Roguelikes are addictive, very challenging, exciting and have a lot of variation. In contrast to traditional roguelikes, TGGW plays much like a console-game. No need to remember “command sets” or complicated key combinations. TGGW has a short game time, so you can play many times and learn fast. Nearly 700 unique items, and more than 180 different monsters, over 100 equipment enchantments, several NPCs, traps, enchantments and features of different rarity that will make each game different from the last. No winner will look the same in TGGW. Short game time. The game can be completed within two hours. However, the difficulty increases very fast. “Thank you so very much for all the hard work you’ve put into this game. This is clearly a labor of love and it shows with it’s careful attention to mechanics, ease of play, interesting decisions presented, and the cheeky bit of humor in unexpected places.